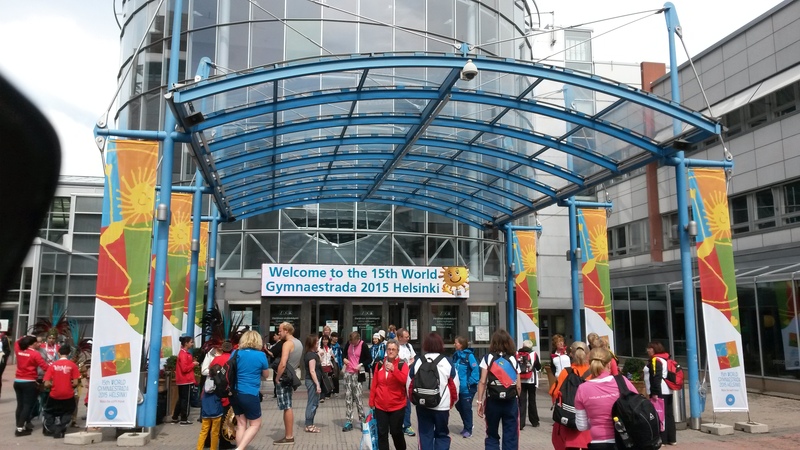 Sixteen gymnasts from The Berri District Youth Club represented Australia at the 2015 World Gymnaestrada in Helsinki, Finland. 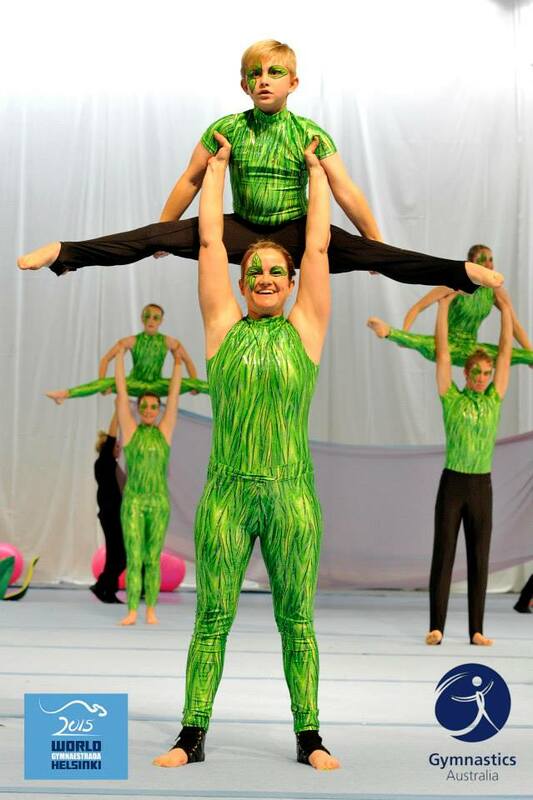 Carolyn Martin (Coach/Choreographer), Jane McFarlane (Team Leader), Michael Herrmann, Amanda Rodden, Samantha Kruschel, Ebony Lange 17, Lachlan Hampel 17, Blake Hampel 15, Austin Hampel 13, Imogen Santos 13, Belinda Rayner 13, Ellie van der Hoek 13, Phoebe Rodden 11, Rebekah Thomson 11, Layne Fenwick 10 and Levi McFarlane 8. 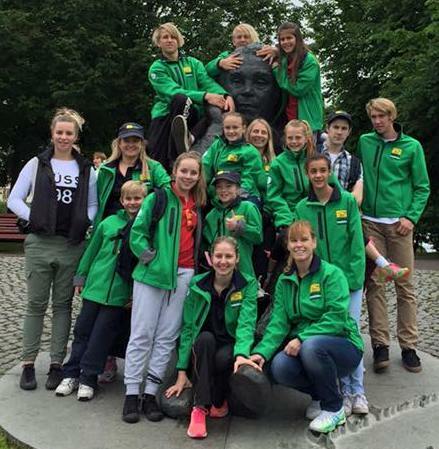 Members attended a 3 day training camp before the event which included a day trip to Estonia for sightseeing, shopping and a medieval market. 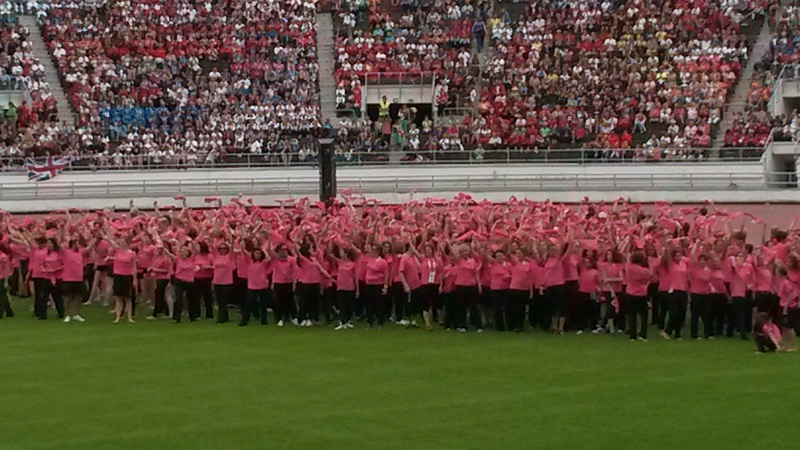 The troupe performed beautifully giving 3x displays in the exhibition halls with crowds of up to 5,000 people. 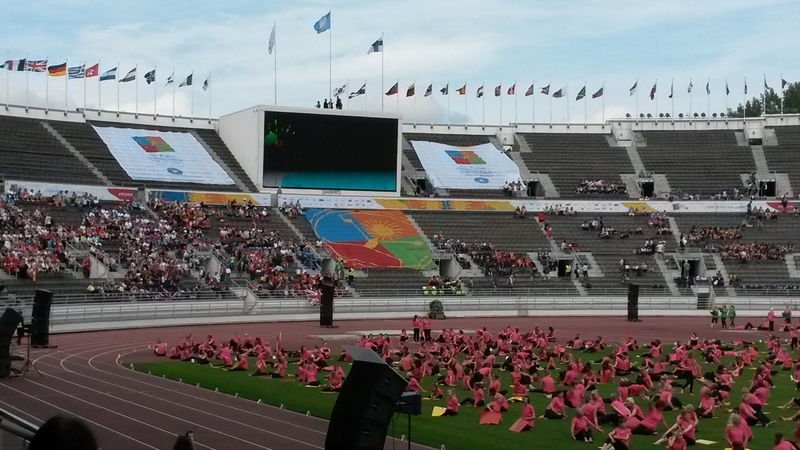 They were also part of the first “World Team” of 2,000 gymnasts who performed a routine for the Midnight Sun performance and Closing Ceremony at the Olympic Stadium in front of 50,000 people. 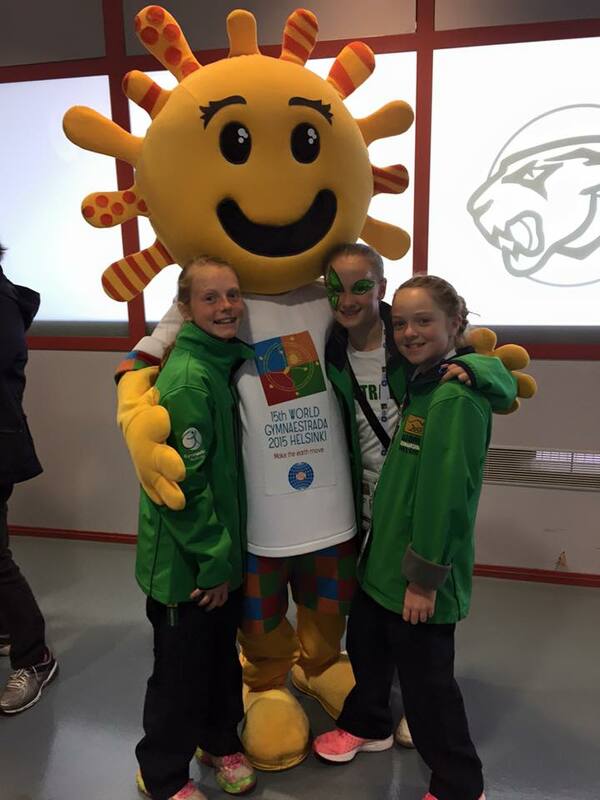 Our gymnasts also traded Aussie pins and uniform pieces with other participants from around the world. A “Big Thank You” to our chaperones…. Mark & Skye Hampel, Lea van der Hoek and Tammy Thomson. Ally Rayner, Bev Bennett, Karen & Isabella Santos. Thank you to... The Berri Barmera Council, The Loxton Waikerie Council and everyone who donated funds and supported our fundraising events for the trip. 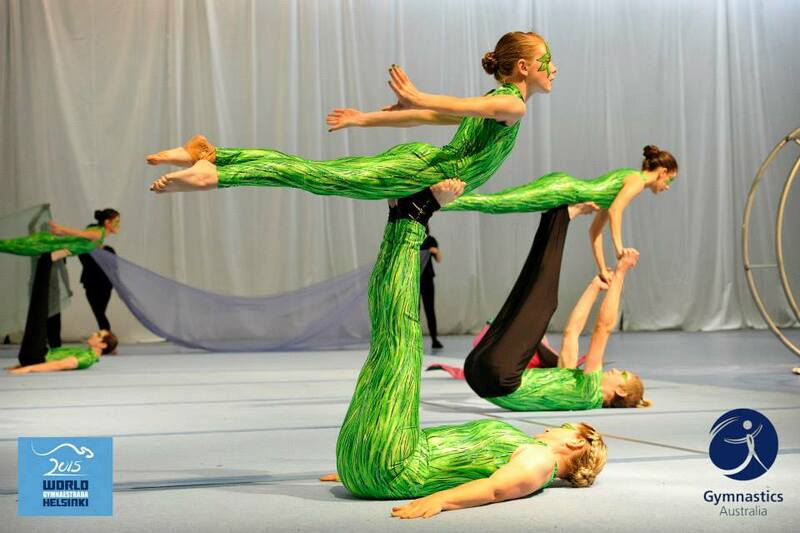 2019 World Gymnaestrada in Dorbirn, Austria. Aussie, Aussie, Aussie! Oi! Oi! Oi!